Four Wisconsin medical and scientific organizations – Marshfield Clinic Research Institute, University of Wisconsin School of Medicine and Public Health, Froedtert & the Medical College of Wisconsin and BloodCenter of Wisconsin, part of Versiti – were awarded $60 million by the National Institutes of Health (NIH) June 29 to continue to implement the All of Us Research Program in Wisconsin through 2023, a momentous effort to advance individualized prevention, treatment and care for people of all backgrounds. All of Us is focused on precision medicine, which is an emerging approach to disease treatment and prevention that considers differences in people’s lifestyles, environments and biological makeup, including genes. By partnering with 1 million diverse people who share information about themselves over many years, All of Us will enable research to more precisely prevent and treat a variety of health conditions. Marshfield Clinic Research Institute, University of Wisconsin School of Medicine and Public Health, Froedtert & the Medical College of Wisconsin and BloodCenter of Wisconsin, part of Versiti, have partnered with regional Federally Qualified Health Centers (FQHCs) to aid in engagement and recruitment of research participants. BloodCenter of Wisconsin will educate and engage its thousands of blood donors for potential involvement in the program. People ages 18 and older, regardless of health status, are able to enroll. Participants are asked to share different types of health and lifestyle information, including through online surveys and electronic health records (EHRs), which will continue to be collected over the course of the program. At different times over the coming months and years, some participants will be asked to visit a local partner site to provide blood and urine samples and to have basic physical measurements taken, such as height and weight. The research program will include communities that have been historically underrepresented in biomedical research to make the program the largest, most diverse resource of its kind. 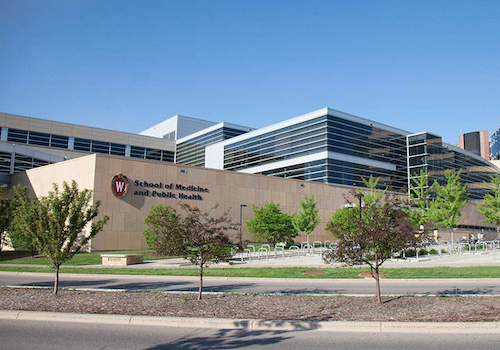 The Wisconsin program is one of 10 health care provider organization consortia across the country participating in the research program. It will represent the collaborative efforts of three fully-integrated regional health care systems and the largest provider of blood and blood products in Wisconsin to form a virtual statewide integrated delivery network. Visit All of Us to sign up and learn more.